You might be wondering what the German word for backpack, verb-ized has to do with Ingress, and the Resistance. This is a great question and we’re glad you asked! Ingress has been since the beginning a game with its roots in exploration, on foot, by car, boat, plane and otherwise. A year or so ago, Niantic partnered with a company called “GORUCK”, which sells expensive (but the “you get what you pay for” doctrine thankfully applies here, they’re very high quality rugged packs that will outlive the roaches) backpacks, apparel and accessories for what they term as “social fitness” doing “active resistance training”. They also put on official events that I’ll discuss further down. Figure out when the next one is! When you do a normal ruck event with your ruck group, one of the folks plans the event and musters the attendees. They’ll basically be the team leader that day. Unless otherwise planned, you’re going to hike with backpacks and maybe do a little PT. Usually there’s a mileage target so someone will keep distance with a GPS and you may end up doing laps in a parking lot at the end to close out your goal. At a GORUCK event you can expect team weight, random challenges such as unexpected “casualties” (either a team member is injured or too slow and is casualty carried by the group, or one is randomly selected to be a casualty by Cadre). If weather conditions are enough to avoid frostbite or hypothermia, you will likely be partially or fully immersed in water for part of the event. Cadre love to get you wet. This can be anything from doing jumping jacks in 4 feet of water, ruck marching in a monsoon of a summer thunderstorm, or doing races back and forth in a city fountain. If it’s warm out, you will get wet, guaranteed. 4-5 hours long, 7-10 miles. Practically anyone who shows up passes this event. 10-12 hours, 15-20 miles. They claim a 94% completion rate but this varies widely based on terrain and weather conditions. Some have 100% pass, some have 40%. 24+ hours, 40+ miles. 50% completion rate. For the truly insane, there are Heavy/Tough/Light variants where you get a patch for doing all 3 back to back, the “Triple H” event for doing 3 Heavies back to back in the same weekend, and the ultimate event they do once yearly called GORUCK Selection which at 48+ hours and 80+ miles is meant to model a special forces selection class, and is the hardest endurance challenge out there. If you ever wanted to push yourself to near death with physical endurance exercises and live on a single MRE while doing it, being identified only by a number and watched by hundreds of GORUCK fans who wish they were as strong as you, this is the challenge for you. Your rewards are a completion patch and free admission to GORUCK events for life. And insane bragging rights. There have been so called “black classes” in Selection where noone passes. Unlike traditional events, there’s a standard and you either meet it or you don’t. There are also numerous special events commemorating everything from the “Mogadishu Mile” (featured in Black Hawk Down), D-Day, Memorial day and Veterans day, and the end of prohibition. Right, but I don’t see Ingress in there. What’s the tie in? 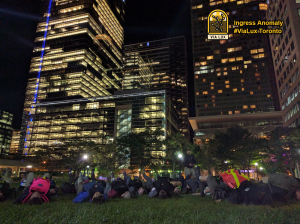 Fair question – At Ingress anomalies, GORUCK has challenges that are run specifically for the anomaly, and they provide advance intel for things like shard spawn points, target locations, vital and infected portals – whatever things that Ingress doesn’t provide clues to during the event itself. It can be very beneficial to your faction to win these challenges. Normal GORUCK events are not competitive. You start and end as a team. Everyone who finishes gets the same patch. Ingress GORUCK events are very competitive (but also cooperative, Cadre sometimes forces the teams to work together). You are broken apart into basically two groups during challenges, and compete against each other doing things like low crawls, relay races, carrying the opposing team from one side to the other while being timed, then that team carries you while being timed, there are trivia challenges, and other things. Naturally, the team that is better prepared and has better turnout typically wins these challenges. Our goal is to prepare our fellow agents for success, as well as find a fun way to get out and have fun other than burying our nose in the phone and fighting over the same portals over and over. To lose weight, and gain strength, and build a strong sense of camaraderie. Why should I be part of your group? 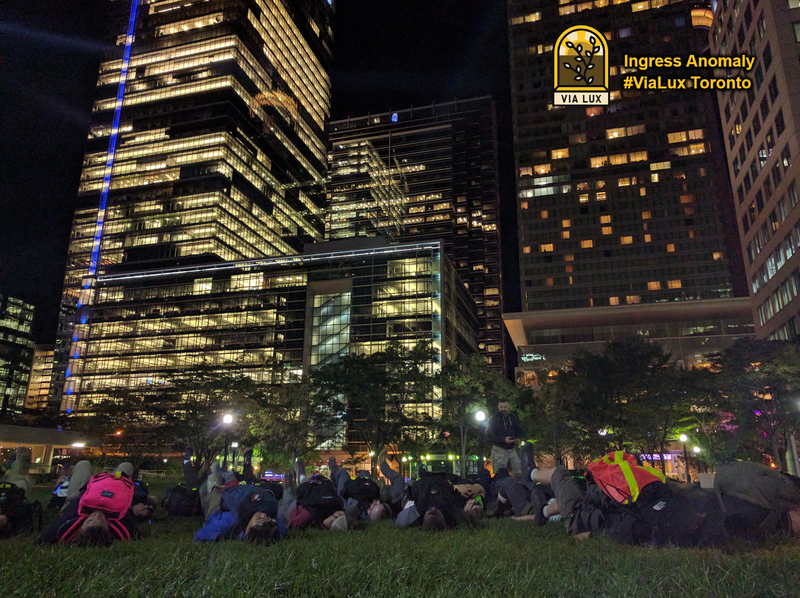 Our group has many very successful Ingress players, as well as folks who have successfully completed GORUCK challenges of various types, including anomaly challenges. 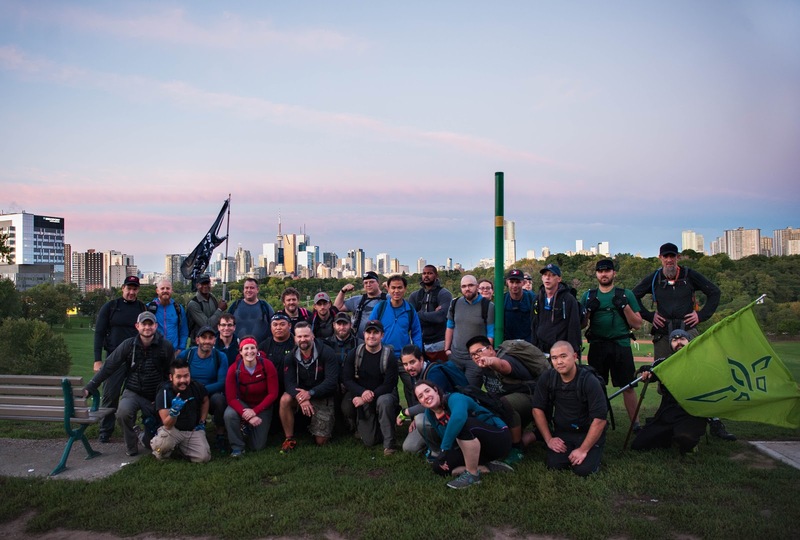 We have several members who have completed the Rucking University class on running your own rucking groups, helping with preparation, nutrition, planning and running a safe and successful event. We’d love to share our experience and our fun with you, whether you ultimately attend an anomaly event or not. We are also an official GORUCK Training Partner and our members are eligible for substantial discounts on events. A code will be provided to active members who can sign up for events at their leisure. 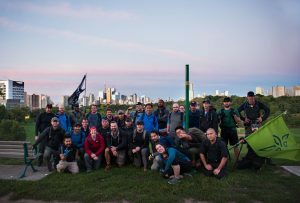 Regrettably it doesn’t work on GORUCK+Ingress events but that only scratches the surface of the fun events you can take part in. We have multiple venues where discussions and announcements occur. Unlike most Ingress things, rucking is traditionally organized through Facebook rather than G+. If you haven’t already, follow our signup process for the Detroit group. If you’re interested in rucking, but have not yet joined the Resistance, install Ingress and follow the instructions. If you’re not sure how, just join above and we’ll help you figure it out. Our Facebook page for group announcements, event announcements and planning is here. Please make sure you’ve introduced yourself first through one or more of the above methods so we don’t spend too much time figuring out who you are. The page is members-only so we can keep the noise down. Membership is easy, just follow the above directions.